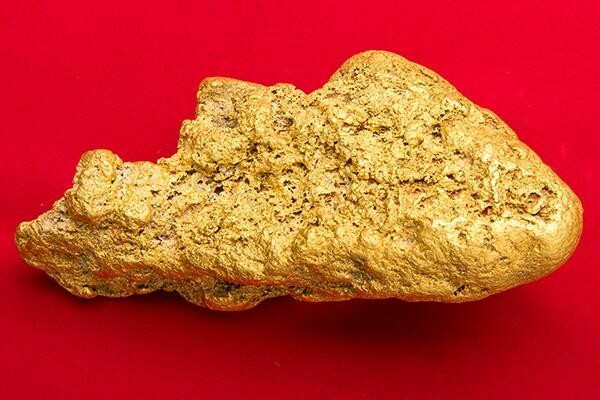 This 57.73 Troy Ounce (1795.4 Grams) Australian gold nugget didn't even make it to the website before it was sold. When I found out an investor had it available for purchase one of my regular buyers snapped it up. 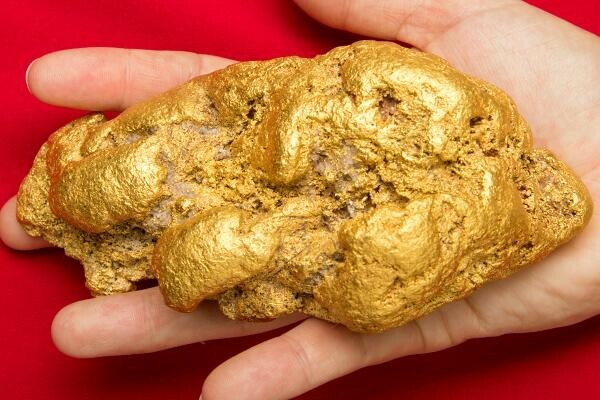 There are less than 300 natural gold nuggets over 50 ounces in the world, and only a few of them would qualify as investment grade like this one. The nugget is HUGE, as you can tell by the weight. It is 5.6" long x 2.6" wide x 2.25" thick. What a beauty. The purity of the gold is estimated at 92% to 98% pure gold. 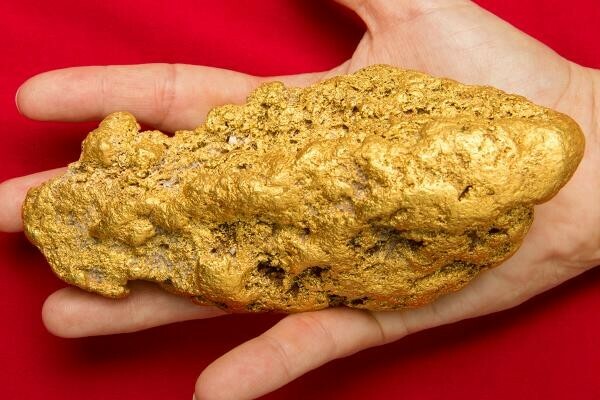 There are less than 300 gold nuggets weighing over 50 ounces in the world, which means this is a very rare gold nugget indeed. 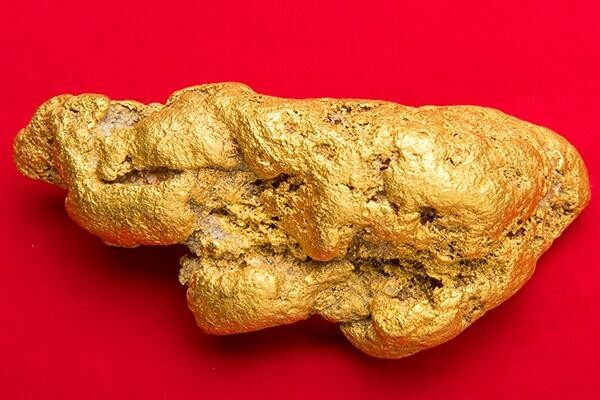 Any museum in the world would love to have a gold nugget like this on display. 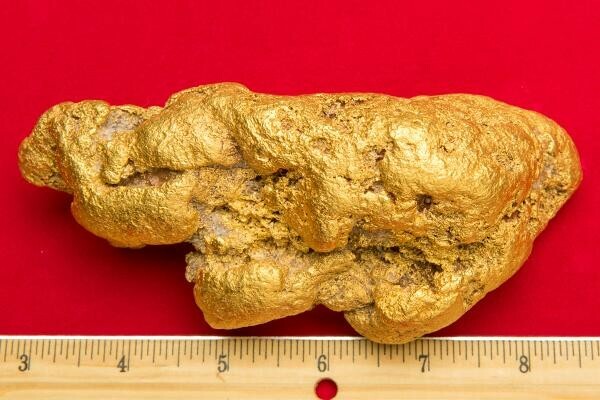 This nugget will be the focal point of the buyers gold nugget collection. 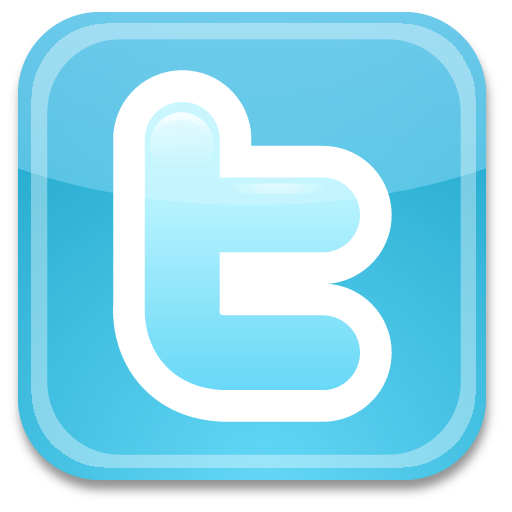 With gold prices in a long term up trend, and the extreme rarity of this nugget, it makes a great investment. 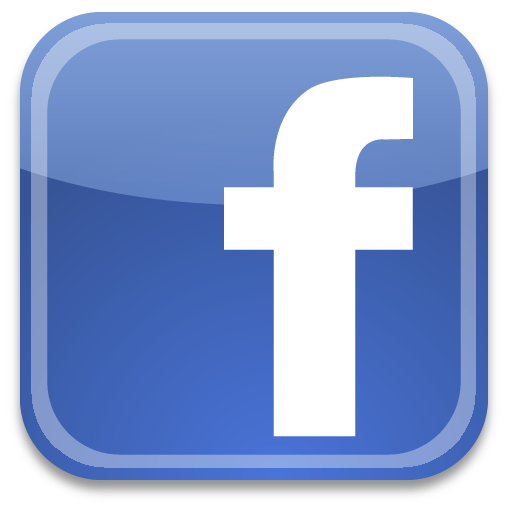 How To Buy Gold Nuggets? How Are Gold Nuggets Priced?